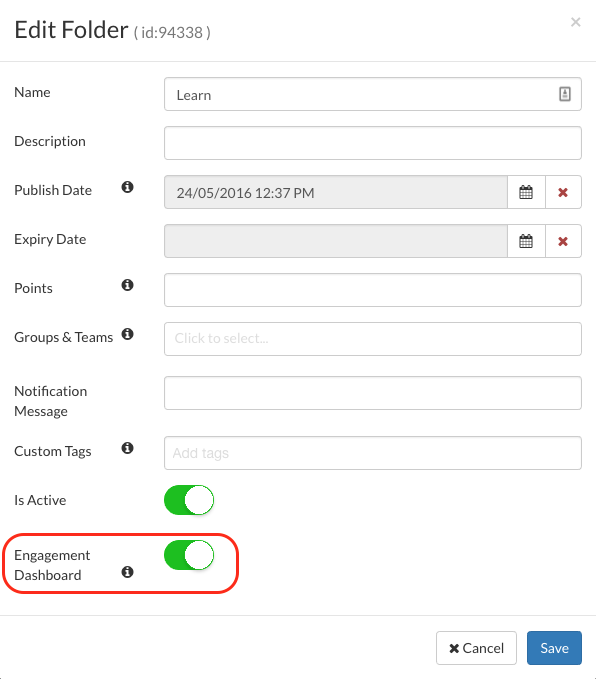 This article briefly explains how to enable Content folders to be viewed in the Engagement Dashboard. To include program content in the engagement dashboard, the engagement setting in the folder where your content resides must be enabled. Click on the folder to open the settings. Enable the switch for "Engagement Dashboard"
Note: Enabling this setting for a folder will include all content in that folder as well as all subfolder content in the Engagement Dashboard calculation.